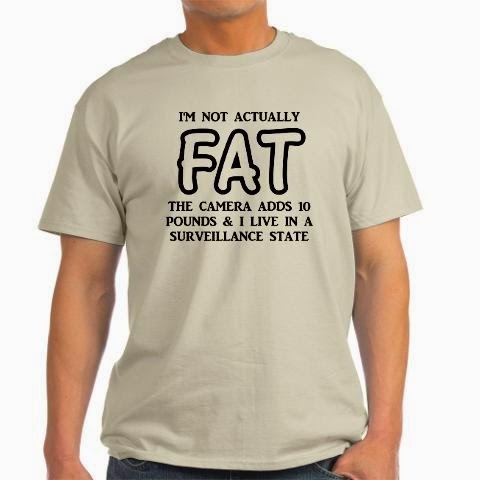 The joke earlier this week linking obesity to surveillance didn't really get a lot of interest, but I thought the concept was deserving of being re-worked into a t-shirt design. As usual, the CafePress products have 0 markup, and the Zazzle products (which may take a bit to go live) have as low a markup as Zazzle allows me to enter (which is 5%) but are a little more configurable. Men's and women's wear in both stores, also kid's wear available (if you really want to put that on a kid or baby).